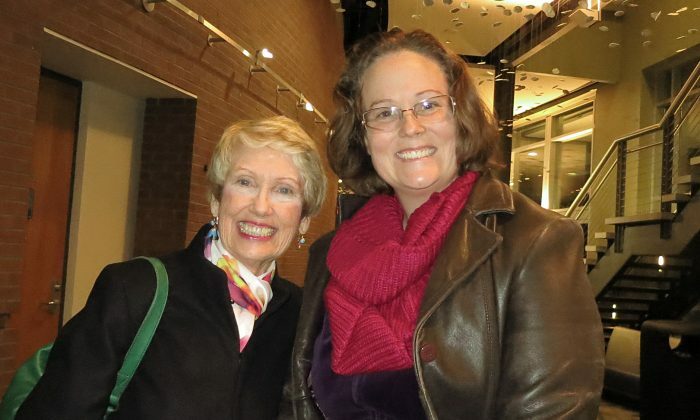 JACKSONVILLE, Fla.—Theatergoers expressed their delight in all aspects of the Shen Yun performance at the University of North Florida Fine Arts Center on Jan. 24 and 25: the colors, the music, the digital backdrops, the dances, the spirit of the performers, China’s traditional culture. But it was Shen Yun’s spiritual content and its universal values and truths that touched people at a deep level. “I think what was beautiful is the fact [that] the music and the dancing was able to translate the universal truths of loyalty, compassion, and kindness,” said Dorothy Maldarelli, a retired nurse who attended the Jan. 24 performance with her daughter Suzanne Maldarelli, also a nurse. “Even though you don’t speak the language, … you can see the compassion. It was very beautiful to see the different cultures and [the] universal truths,” she said. “When we lose the sense of the spirituality, we lose our sense of purpose, and we lose our sense of the divine spirituality, and that’s universal,” she said. She was grateful for the freedom of religion and of spirituality in the United States and expressed sadness at the absence of such freedom in China today. 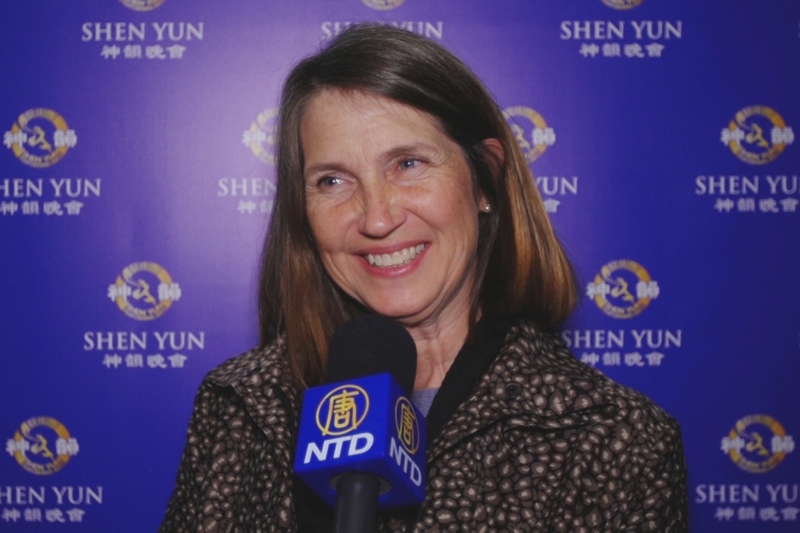 “Based in New York, Shen Yun Performing Arts was established by Falun Dafa practitioners in 2006,” Shen Yun’s website states. “The company’s mission is to use performing arts to revive the essence of Chinese culture—traditionally considered a divinely inspired civilization. “Since the CCP [Chinese Communist Party] is officially an atheist regime, it is afraid of the freedom of expression this arts company enjoys in the West,” the website explains. 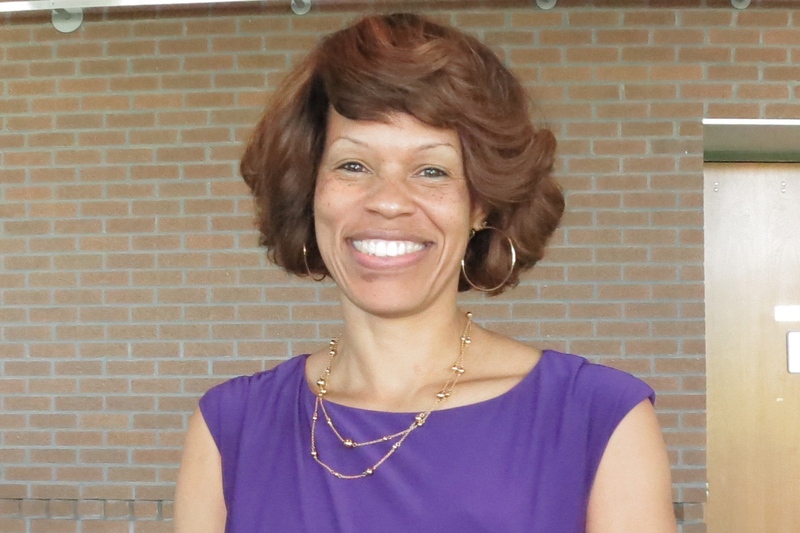 Ronda McDonald, who teaches and owns a school for primary through secondary grades, described the dances as breathtaking and said she was struck by the dancers’ energy, beauty, and grace. In the dance, a police officer, acting on orders of the Communist Party, is about to make an arrest when he falls and injures his knee. The kindness of the Falun Dafa practitioner he was about to arrest brings about a change of heart and an ending that touches the heart. In 1999, the CCP initiated a campaign to eliminate Falun Dafa, with its core principles of truthfulness, compassion, and tolerance. “Forcing atheism upon society, the Chinese Communist Party has for decades launched various campaigns—most notably the Cultural Revolution—to destroy not only cultural sites, temples, and relics, but also the Chinese people’s belief in virtue and faith in the divine,” the Shen Yun website states. “It is really striking and is very sad that people would deny that there is a divine purpose and that there is a divine energy in this world,” Ms. McDonald said. She said she loved the performance—the colors, the music, the movements, China’s history and culture, the digital backdrops, the dance, everything—but she spoke the most about the compassion she felt in the performance. “I think that just that compassion piece is very relative to what’s going on today because there’s a lot of anger. There’s a lot of hate. People have a lot of enemies. … The compassion piece shows that you can really win someone over by showing the love,” she said. “I do think if a person understood these messages of compassion and took that to heart and applied it, it could change people. It could change the world if everybody saw that peace and applied it,” Ms. Rutledge said. China’s three religions, Confucianism, Buddhism, and Taoism, have shaped China’s 5,000-year-old civilization. “Under the influence of these faiths, Chinese culture has generated a rich and profound system of values,” according to the Shen Yun website. The Shen Yun Symphony Orchestra performed in Miami and Sarasota in October, and the full dance company performed in Fort Lauderdale, Sarasota, and Gainesville in December. Shen Yun will return to Florida in the spring with performances in Orlando, Fort Myers, St. Petersburg, Miami, and West Palm Beach.